New starting February 11, 2018! Aikido is a non-violent martial art that focuses on improvement through cooperation, not competition. 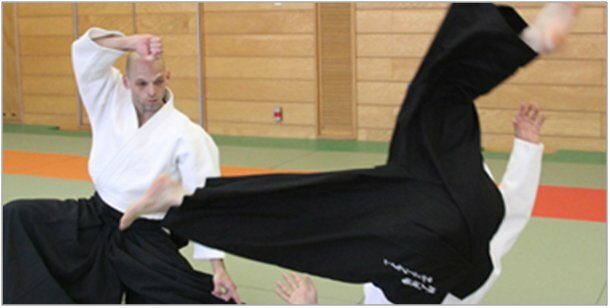 DJ Sensei has trained for over 25 years in Aikido with Shihan (master teachers), including eighteen years at the Japan world headquarters at the Aikikai Hombu Dojo in Tokyo. DJ Sensei is a fifth degree black belt instructor. Classes are on Sundays from Sundays from 5 pm to 7 pm. Everyone of all ages and fitness levels is welcome – especially children, teens, and beginners. For more information, please contact DJ Lortie at djaikibudo@gmail.com.